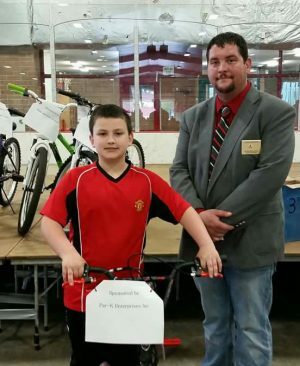 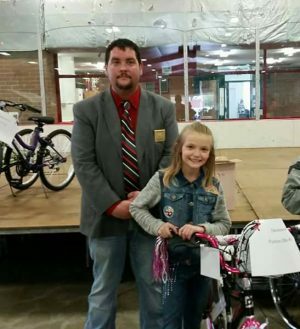 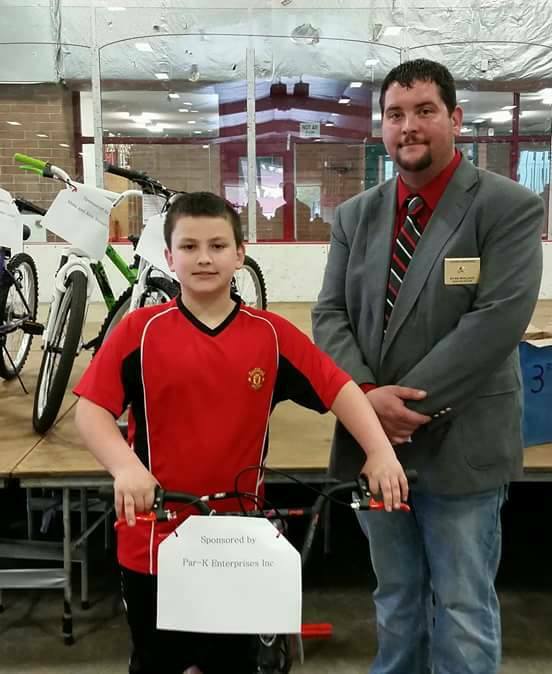 FULTON – The Fulton Elks held a May Day Fair and Bike Giveaway in celebration of youth. 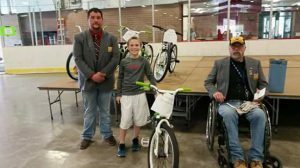 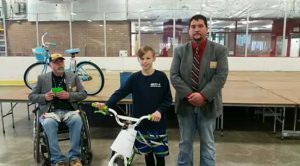 Leading Knight and May Day chairperson Dave Ormsby, Sixth grade bike winner Trevor Doty, Exalted Ruler Ryan Wallace. 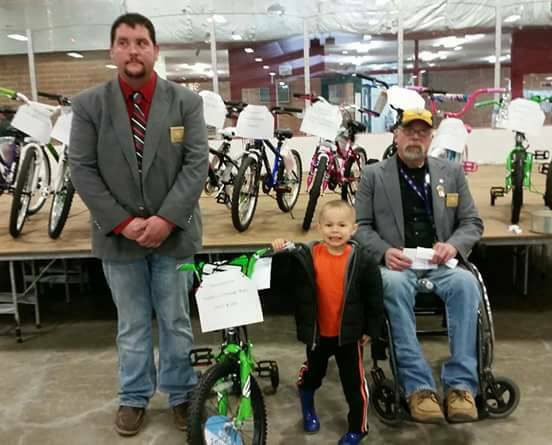 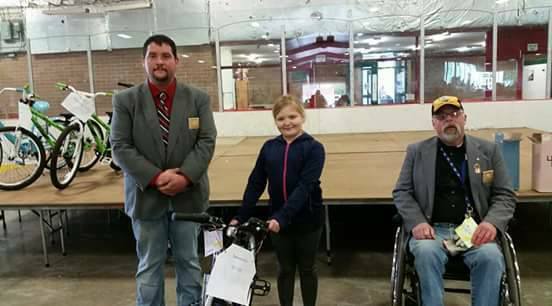 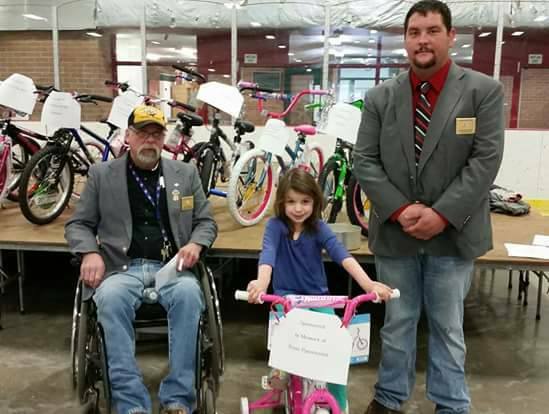 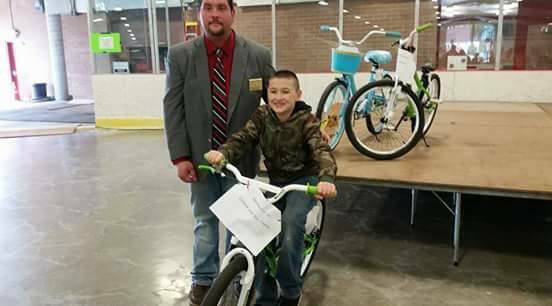 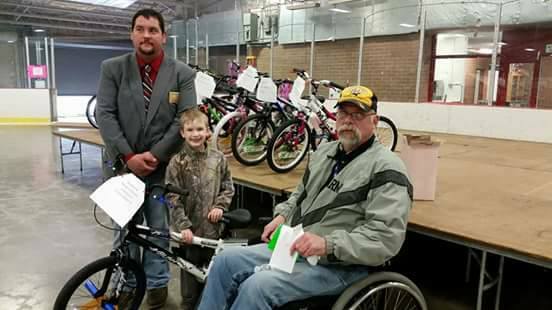 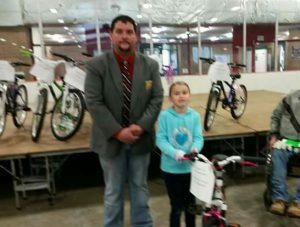 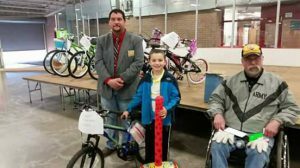 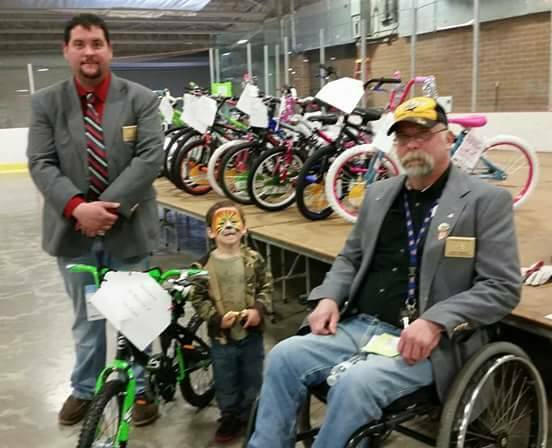 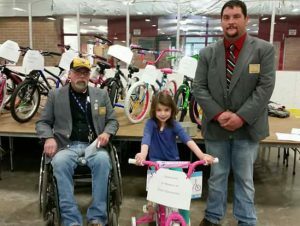 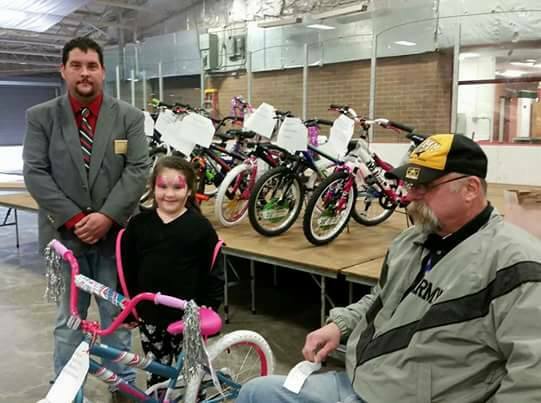 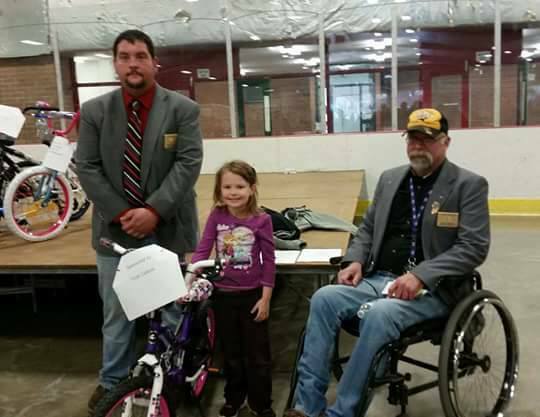 The Fulton Elks #830 gave away 16 bikes, a boy and girl bike for grades preschool through sixth grade. 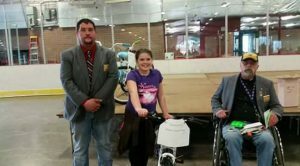 The event also included rides, concessions, face painting, and ‘The Parrot Lady’ as well as other venues. A drug awareness booth was also set up and 70 bags filled with drug awareness materials and goodies presenting positive and drug free messages were given out to local youth. 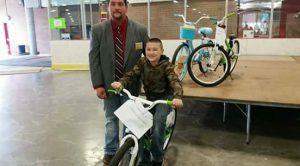 Fulton BPOE 830 also gave away a gift card for each child to get a helmet of their choosing as well as safety reflectors for their clothing and bike. Exalted Ruler Ryan Wallace, Fifth grade bike winner Christopher Murphy Jr.
Exalted Ruler Ryan Wallace, Preschool bike winner Nolan Ouderkirk, Leading Knight and May Day chairperson Dave Ormsby.